Ticket Down announces that the USA Women's National Soccer Team (USWNT) will participate in an international friendly match against Australia at Ford Field in Detroit on Thursday, September 17th. 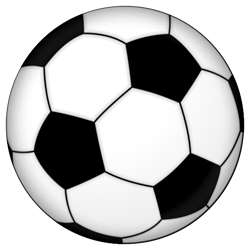 This popular ticket site is offering their customer appreciation promo/coupon code SOCCER for added savings. Ticket Down is a reputable source of authentic USA vs. Australia tickets at Ford Field in Detroit. The U.S. Women's National Soccer Team will face the Australia Women's National Team in conjunction with their Victory Tour to celebrate winning the 2015 Women's World Cup by beating Japan by a score of 5-2. Carli Lloyd from the USA team was awarded the Golden Ball as the best player of the 2015 Women's World Cup. Ford Field opened up in 2002 and this busy venue has hosted many different types of events over the years including the Little Caesars Pizza Bowl and Quick Lane Bowl in collegiate football. This stadium is the home field for the Detroit Lions and it has mainly been used for football games, both professional and amateur including Super Bowl XL, but it has also been used for other sports including professional wrestling as World Wrestling Entertainment brought their premiere event, WrestleMania 23, to the city in 2007, setting the attendance record of over 80,000 fans. The venue has also been the site of the Final Four in collegiate basketball and the Frozen Four in collegiate hockey. Back in 2011, this venue hosted group stage matches in conjunction with the CONCACAF Gold Cup. The teams that participated were Panama vs. Guadeloupe and USA vs. Canada. Ticket Down delivers tickets to sold out concerts and events worldwide when no one else can, and they do so at discounted prices. This popular ticket exchange also has authentic tickets for USA vs. Australia at Ford Field in September. Find on-field seats, front row sideline, front row endline, VIP midfield and club, midfield, sideline, corner and endline. This well known ticket site also can handle group ticket sales. Add promo/coupon code SOCCER for added savings on any USWNT vs. Australia tickets in Detroit. Note: Ticket Down is not associated with any of soccer teams or venues mentioned in this release. The names that are used in this release are purely for descriptive purposes. We are not affiliated with nor do we endorse any trademarked terms in this release. Check out our discount codes online for all upcoming events. Ticket Down has low overheads which allow this well-known ticket site to keep prices competitive. Ticket Down has cheap tickets for all sports, concerts and theatre events around the world at low everyday prices.